But whereunto shall I esteem this generation to be like? It is like to children sitting in the market place. we have lamented, and you have not mourned. Behold a man that is a glutton and a wine drinker, a friend of publicans and sinners. There are critics of Mother Teresa, just as there are critics of Pope John Paul II, and there were critics of St Francis de Sales, as there were critics of Father Damien of Molokai. And there were critics of Jesus. Should He really have upended all the moneychangers’ tables and caused chaos in the Holy Temple? What was He doing speaking with Samaritans and women? 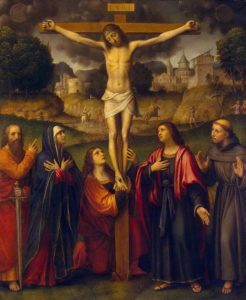 Who was this upstart carpenter’s son to go around lecturing Pharisees and scribes, and making the sacrilegious claim that He was the altogether transcendent Almighty God? Jesus said to them: Amen, amen I say to you, before Abraham was made, I am (John 8:58). Father Damien de Veuster gave everything of himself for the lepers of Molokai, suffering great loneliness and sorrow in his final leprous years, just as Mother Teresa endured a terrible dark night of the soul amidst her labors. 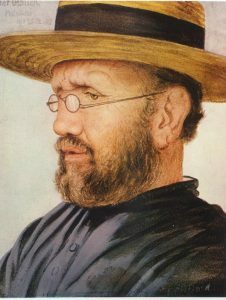 Father Damien did not mince his words; he employed a sharp tongue on those who interfered with his difficult mission. Likewise, Mother Teresa spoke uncomfortable truths about the dignity of all humans from conception to death, even when they discomfited the president of the United States at the National Prayer Breakfast. Stevenson acknowledged that Father Damien was not a perfect man; indeed, none of our saints except Mother Mary was immaculate. When the Church canonizes someone, it is not a declaration of perfection; instead, it is the celebration of a frail human submitting to God’s perfect will and letting Him work wonders through our broken human nature, just as He restores creation through Christ’s incarnation. The legacies of saints are often imperfect; their followers are also fallible humans, and prone to stumbling along the rocky path to Paradise. But God chooses to bring good out of His messed-up creation, turning pain and sorrow into everlasting joy. If the world hates you, know ye, that it hath hated Me before you…. if they have kept My word, they will keep yours also. 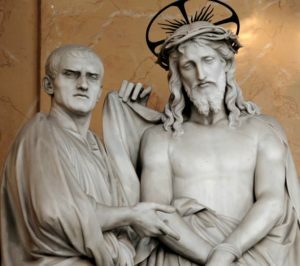 Sr Theresa Aletheia Noble, “5 Responses to the Ridiculous Rancor of Some Toward Mother Teresa”, Aleteia <http://aleteia.org/2016/04/05/5-responses-to-the-ridiculous-reasons-some-atheists-hate-mother-teresa/>. 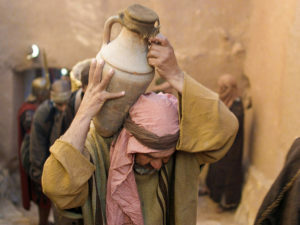 Douglas Harper, “Saint”, Online Etymology Dictionary <http://etymonline.com/index.php?term=saint>. Emily Stimpson, “A saint who could never be tamed”, OSV Newsweekly <https://www.osv.com/OSVNewsweekly/Article/TabId/535/ArtMID/13567/ArticleID/4315/New-saint-could-never-be-tamed.aspx>. Peggy Noonan, “Still, Small Voice”, Catholic Education Resource Center <http://www.catholiceducation.org/en/faith-and-character/faith-and-character/still-small-voice.html>. Fr F.E. Burns PE, “The Strange Case of Father Damien and Robert Louis Stevenson”, AD2000 Vol 15 No 8 (September 2002), p. 10. <http://www.rememberingkalaupapa.org/kalaupapa-history/the-strange-case-of-father-damien-and-robert-louis-stevenson/>. Image credit: Edward Clifford, 1868, Honolulu Museum of Art.